The course list, documenting your PhD studies, and the forms for registration to the PhD examination can be accessed via this page. Click here for links to ETH/UZH regulations for PhD studies. The course list for doctoral students is a form where you should list the courses you have successfully completed during your doctoral studies with the credit units you have earned for each of them. For every course that you have attended the instructor has to sign your course list, confirming in this way that you have attended/passed the course. The complete course list has to be signed by your advisor before you may register for your PhD examination. It is advised to fill in the course list on an ongoing basis. Course instructors, in particular visiting faculty, might not be around at a later time. 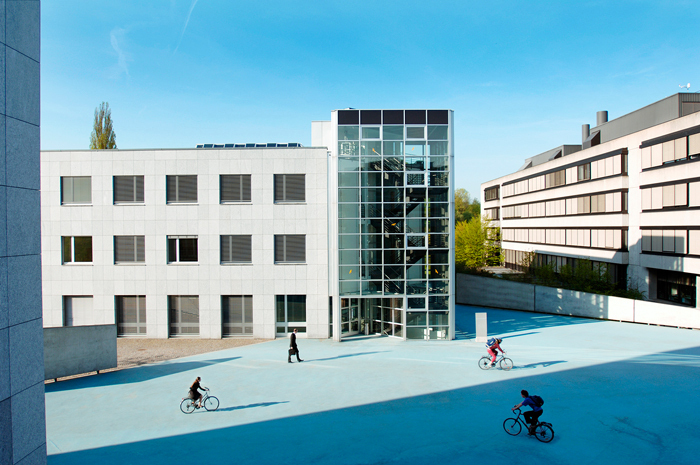 ETH: Hand in the completed course list at the secretary's office of D-Math at ETH main building, room HG G 33.4 (phone +41 44 632 3737) together with the form "Registration for doctoral examination". The secretary's office of D-Math will then obtain the mandatory signature of the chair of the doctoral committee on your behalf. For further information please see the ETH checklist "Doctoral Thesis & Doctoral Examination". UZH: Have your completed course list signed by your advisor and the responsible faculty member of the PhD committee. Submit the course list together with the application form for the defense of the PhD thesis to the Office of Student Affairs of the Faculty of Science (UZH Irchel, office Y10 G23, phone +41 44 635 40 08, Mon & Fri closed). For further information please see the checklist for PhD students of the UZH Faculty of Science.